I can’t believe another year is already starting. What a fast year 2013 was! I have to say that I don’t really care for the New Year’s Eve parties or the fireworks. However, I do love reflecting on the past year, reflecting on life, and thinking of ways to improve my life in the coming year. I understand that a lot of people have trouble sticking to their New Year’s resolutions. So, I’ll just lend a hand here if yours is to save money. If you really want to save money this year, one of the most effective ways to do so is also one of the easiest — go solar. If you already know this, then it’s high time you actually decide to go solar! Use the bringing in of the new year to finally make the move and do it. If you’re new to this, though, I’ll share some quick stats with you. The cost of solar is about 100 times lower than it was a few decades ago, and even half the price it was a handful of years ago. Solar panels have gotten a lot more efficient and a lot cheaper. The question isn’t actually how much solar panels cost, but how much solar panels are going to save you. The answer varies from house to house. 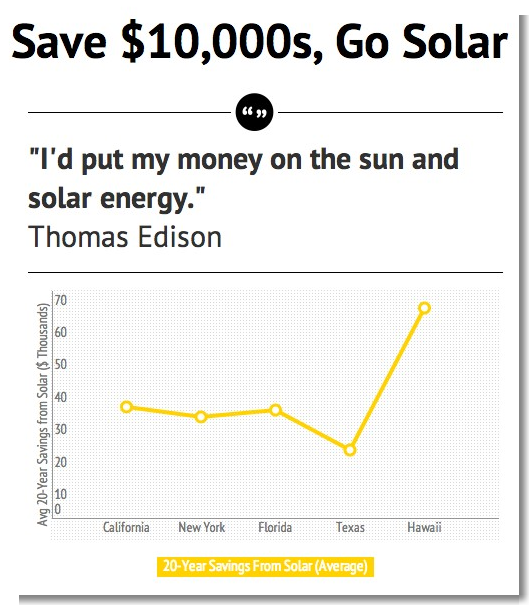 However, a study conducted in 2011 found the average savings to be just over $20,000 over the course of just 20 years for Americans who went solar then. Solar power has actually gotten cheaper since then, while electricity prices have risen, so the estimated savings should be even greater. The opportunity is genuinely amazing for a lot of people. Don’t miss out on these major financial savings this year!